September marks the end of summer vacations, the resumption of “normal” traffic on the highways, and the return of more pleasant driving temperatures. But what is “normal” traffic? September starts with the heavy traffic flow of Labor Day weekend, which can only be considered normal in that it happens every year and therefore, we can plan for it or work around it. Normal traffic also means highways that will now be filled by large and small yellow school buses. Twice each day (and sometimes more often) these buses carry the nation’s most valuable cargo to and from their homes. 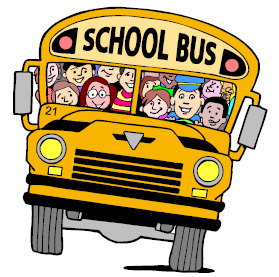 During these “bussing rush hours” school buses are extremely disruptive to normal traffic flow. They stop frequently and often drive slowly, resulting in long lines of traffic behind the bus. For the rest of the driving public, this can easily lead to frustrations. Don’t let yourself get caught in this trap. Patience is a virtue! Accept the fact that during these two or three times each day, school buses will be picking up and discharging someone’s child. Perhaps your child is also being transported to and from school. Allow a little extra time so the normal delays caused by the buses don’t throw you behind schedule or cause you to rush to make up time. Be especially careful of the children as they go to and from their bus stops. Anticipate them crossing a street without looking carefully first. Expect them to appear from between cars or from behind trees or bushes. Always expect the bus to stop and discharge students, requiring you to stop. Never ever, pass a bus that has its red warning lights activated!